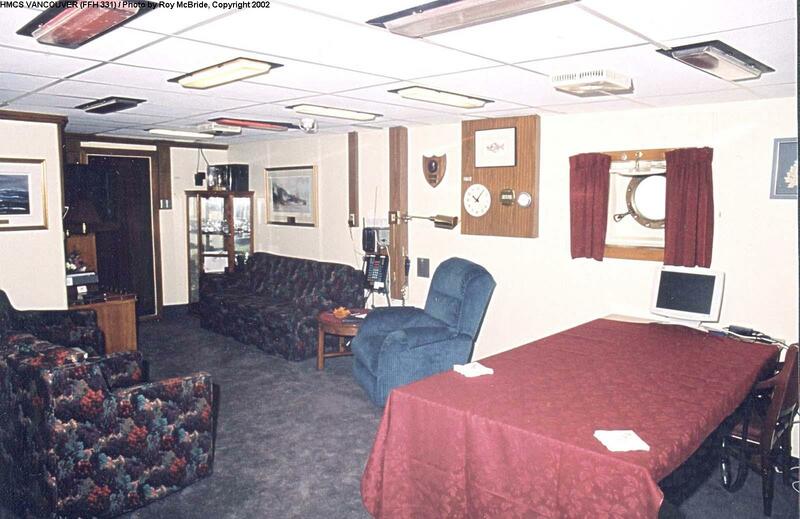 The Captain's stateroom aboard Vancouver presents a positively luxurious appearance. The comfortable chairs, carpet, suspended ceiling, cabinetwork, paintings and photos, are details not often seen in some navies - especially in a relatively small ship such as a frigate. A view down a main passageway presents a much less luxurious appearance. 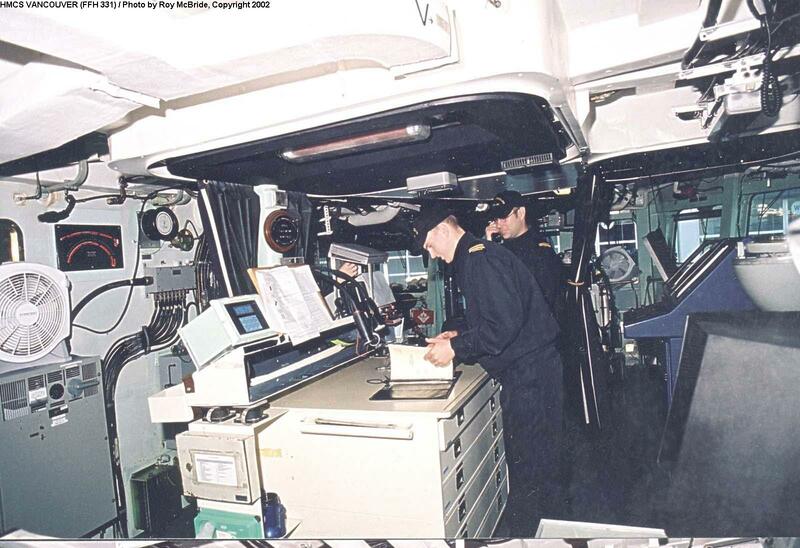 Note the mass of wiring running up the bulkhead and along the overhead - the electronics and electrical systems installed in modern warships are very complex and require miles of cable. 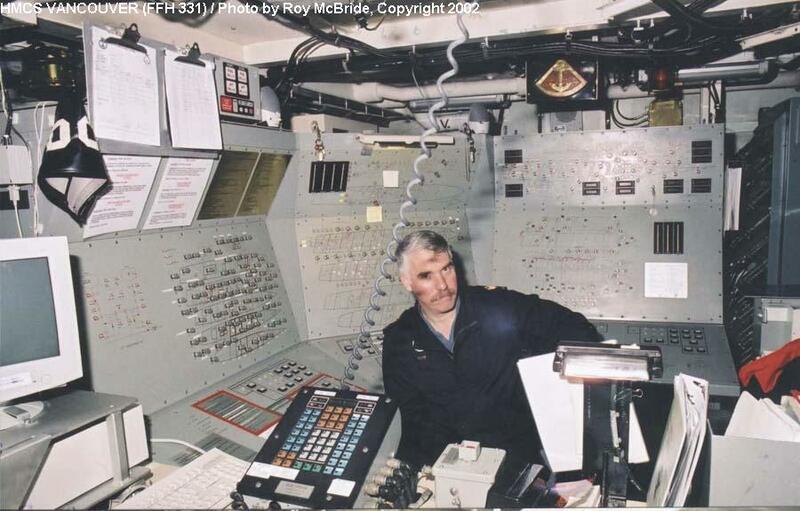 Vancouver damage control center, from which all the ships engineering and damage control systems can be operated. 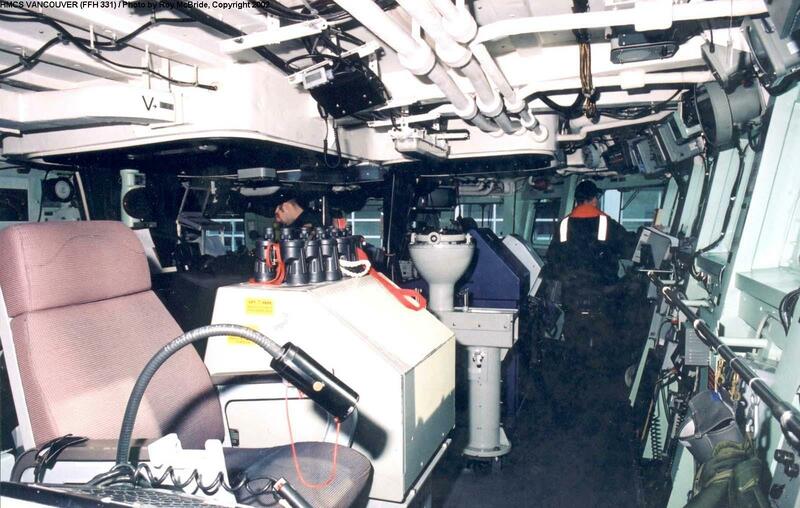 This is one of the key spaces aboard any warship and is essential to combat operations. 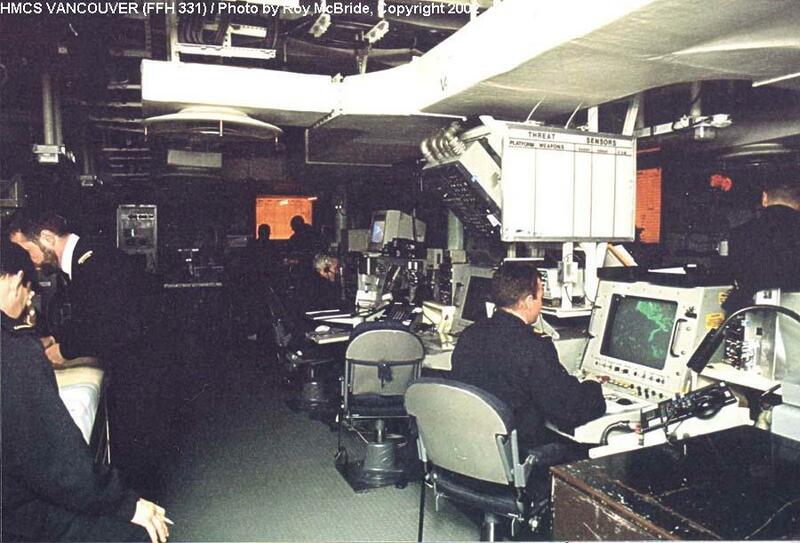 A rare view inside Vancouver's combat information center. 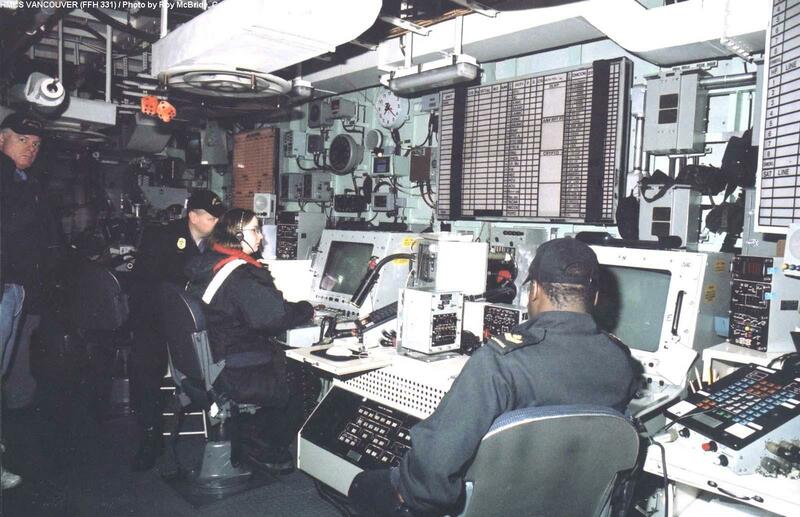 The CIC, known by various names in different navies, is the ship's nerve center in combat. It is here that combat decisions are made, and all weapons and sensors controlled. Another view in Vancouver's CIC. 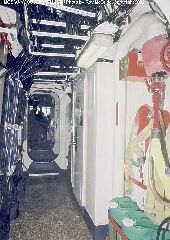 This space had recently been declassified when these photos were taken, so these are probably the first views of the space to be published. 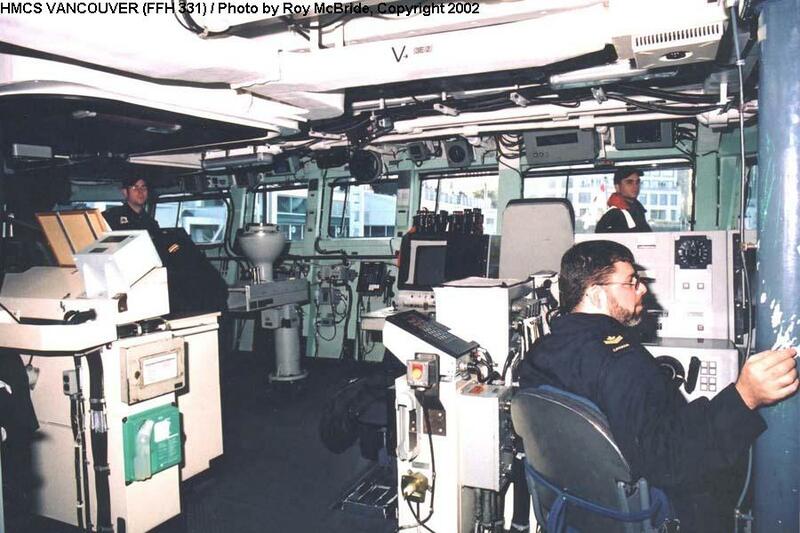 Vancouver's bridge, looking from starboard to port along the front of the bridge. The captain's chair is in the left foreground, and the helm is at center. 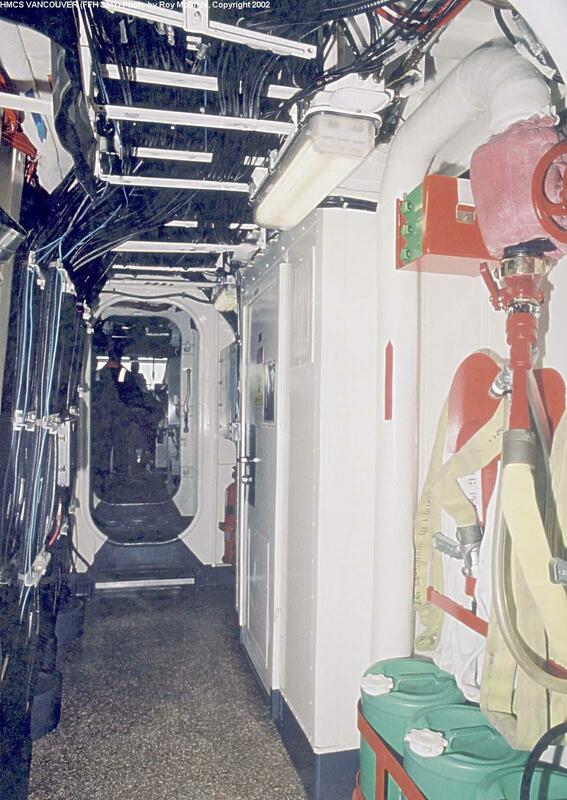 Another view of the bridge, looking towards the bow. 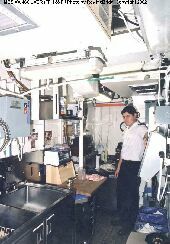 At the rear of the bridge, the navigator's station. The ship's mess has a pub-like appearance, which is surely popular with the crew. 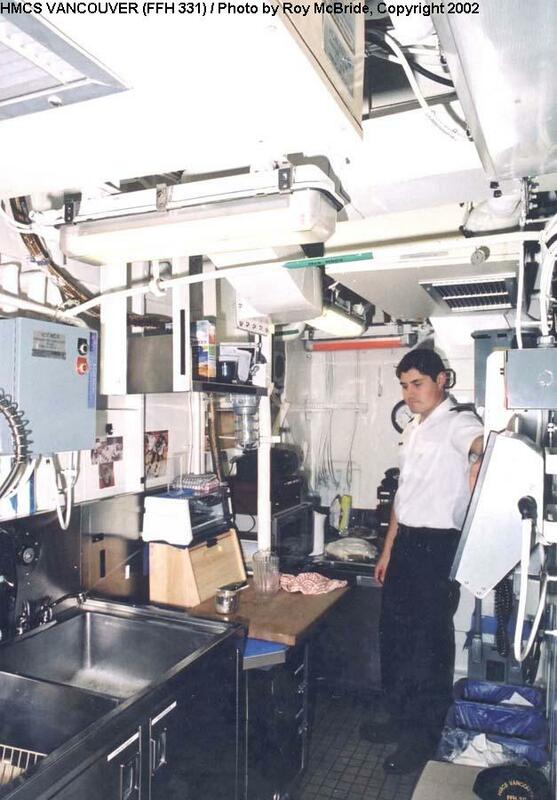 Part of the ship's galley - shipboard cooking is always a challenge in tight spaces. 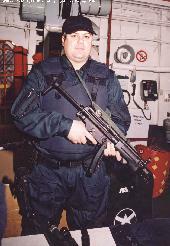 A member of Vancouver crew equipped for boarding another ship. With the ongoing intercept operations in the Persian Gulf, tactics for boarding unfriendly ships have once again become important, after years when such close-quarters action was not a concern. Photos Copyright © 2002, Roy McBride. All Rights Reserved.